﻿ Who's still got their 306's??? Who's still got their 306's??? Seeing as its been a few years since iv been on the forums and attending shows i thought id drop a post and see how many of the old members are still here and still driving 306's? Lets see the photos whilst we are at it. The gti is well neglected these days, rarely makes it out the garage. But the xsi is still going strong daily ? Member of 99% warning or your nothing club! Its not my daily but the rallye is still around. Waiting for nicer weather to hit the roads but its just parked up on grass looking a bit sorry for itself. With the bodies it wont start in the cold as it immediately floods so its not going anywhere for now! Really need to get it mapped! We did the euro trip last year and I think I went to work in it once last year. Drove it a few weeks but that was it. No track time apart from the ring. Organising a euro trip for this year seems to be going very slowly and we have decided it will be wales or scotland instead aiming for a bigger trip in 2020. In the mean time the saab is on 192k and still being used daily. 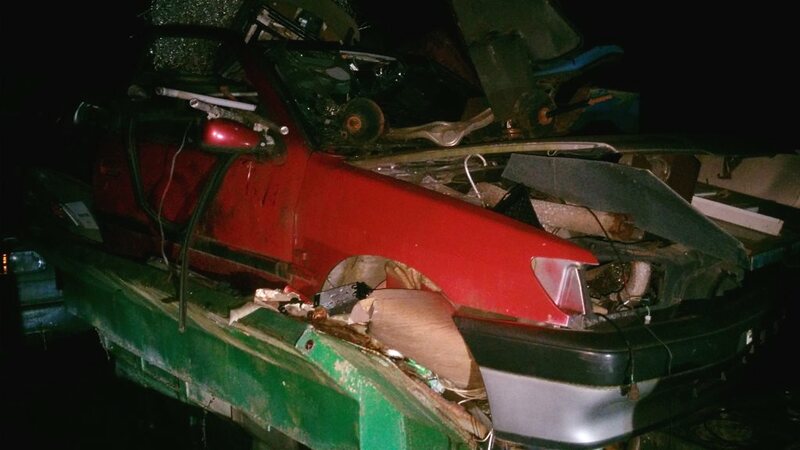 The RR P38 has a cracked head and is still in the garage. The beetle has a cover on in the drive until its warmer to work on it. I may have some hockey sticks if you need them! Doesnt look too peely for a diablo! still log in daily in a hope of some miracle! I'm still here occasionally but not driving 306s anymore. Last 306 daily was a HDi back in 2014. Last weekend car was a GTi6 back in 2016. I still work on 306s now & then though. (10-02-2019, 10:06 PM)Eeyore Wrote: I may have some hockey sticks if you need them! Doesnt look too peely for a diablo! thanks Sam. I do have some somewhere, just failed to fit them after the respray. (10-02-2019, 06:41 PM)puglove Wrote: Seeing as its been a few years since iv been on the forums and attending shows i thought id drop a post and see how many of the old members are still here and still driving 306's? Lets see the photos whilst we are at it. Ha ha, jeez - so even less than before lol. Yes we do.. has it really been that long already...?! Ours is still going strong but has a noisy engine which is probably an injector, i may make a video with audio and post for opinions when the lad shitron is either running again or scrapped!!!!! We would love an otherone, for the lad, its great at towing ( shitron despatch, shitron picasso ) and good on fuel. We are looking for an other one, hdi estate 306, it just makes so much sense. As a side note the HDi is likely going to be scrapped soon'ish (I can't see anyone taking it whole) - probably towards the end of the month - possibly a couple of bits coming off it first, FMIC, new genuine MAF etc.. will make a thread closer to the time. I'm still about, had my current 16v XSI just over a year now, but looking to move away from Pugs pretty soon and buy something different and newer. So XSI up for sale shortly. End of an era mate. You two have had the hdi for ever! More reason to get that gti going again! 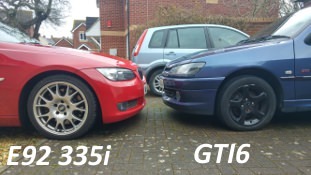 (11-02-2019, 03:55 PM)Silky Wrote: I'm still about, had my current 16v XSI just over a year now, but looking to move away from Pugs pretty soon and buy something different and newer. So XSI up for sale shortly. If you are passing thourgh the Netherlands, let me know! By the way: I still have 4 306's. No intention to get them off the road. All still going strong! Still got mine in daily running, 202k now. Yeah man really is! It's what made me join .net back in the day, had it since 2011 between us now! Sad times, but onwards and upwards etc..
(12-02-2019, 08:19 AM)Joep83 Wrote: If you are passing thourgh the Netherlands, let me know! Sure puglove can probably sort you those hockey sticks but keep reminding me! Love these high mileage HDis that are appearing. Lus estate has done 242k! Cully id love a nice 3 door hdi if it does ever part from your family. Then again... as much as id love one the saab is so good and I cant fit c5s in a hatch! (12-02-2019, 11:55 AM)Eeyore Wrote: Cully id love a nice 3 door hdi if it does ever part from your family. Then again... as much as id love one the saab is so good and I cant fit c5s in a hatch! when Peugeot got the shape "just right". Still got my cossack S16 and my first black rallye. very slowly been buying bits and doing odd jobs to them here and there but becoming a parent, getting engaged and moving house and with a new job has all taken its toll on my free time. Nice to still see some activity on here! you clearly need to sort out your priorities! I'm still driving my HDi Estate and love it for an 18yr old car it's belting. I've still got some of my collection. Got the silver estate that i can't see myself selling, currently off the road as don't use it much over the winter. Got to sort out the rear beam on it which is one of my next jobs to sort out. Got a china blue estate that i have had for just over a year which i use as my daily which has been a spot on car that i bought for £100 though i did do a reasonable about of work on it when i got it. Got the 205 which is the car i drive most over the winter but will be selling that in the spring time as don't really need it with having the china estate. The astor grey GTi6 i've got which i've had for over 2 years now i think. This will be my summer project to get that all sorted out hopefully. I did however sell my black DT which i had had for 8 and a half years but i just wasn't using it and was just being wasted so i sold around christmas time. Okay, it needs a bit of TLC. Custom roll cages/shiny suspension bits/general fabrication work undertaken, PM me. Top engine mount repair/reinforcement/chocking for cracked chassis and high powered cars, drive in, drive out, 2 hour turnaround. I've still got mine, was out in it yesterday, forgot to get a pic though. Team - Inappropriate Footwear. Member 1 of 3. Current time: 25-04-2019, 04:51 PM Powered By MyBB, © 2002-2019 MyBB Group.